Simplifile, a leading provider of real estate document collaboration and recording technologies for lenders, settlement agents and counties, today announced that St. Mary’s County, Md., has adopted its e-recording service. 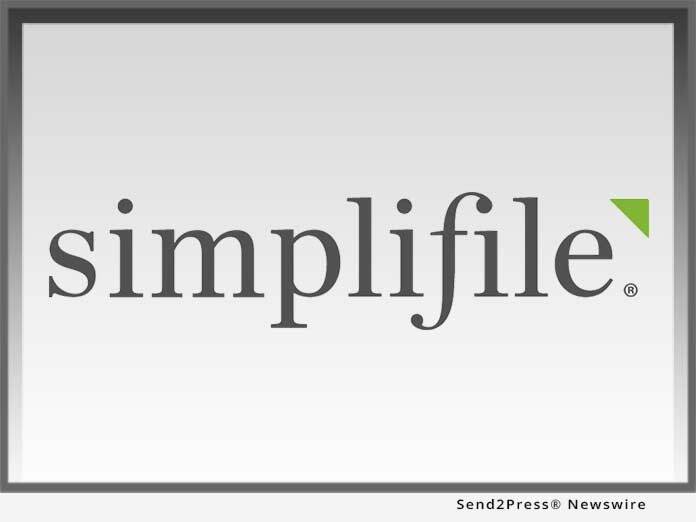 PROVO, Utah /Mortgage and Finance News/ — Simplifile, a leading provider of real estate document collaboration and recording technologies for lenders, settlement agents and counties, today announced that St. Mary’s County, Md., has adopted its e-recording service. With this addition, Maryland has become the 10th state in the Simplifile network to implement e-recording statewide. In 2015, Baltimore County became the first Maryland county to adopt Simplifile’s e-recording service. Baltimore County began using Simplifile as part of the Baltimore County Circuit Court’s e-recording pilot, which was created for recording customers to conveniently and securely e-record land record documents, expediting the turnaround time for recorded documents and reducing overall paper and mailing expenses. With the addition of St. Mary’s County, all 24 Maryland counties now e-record with Simplifile. Simplifile’s e-recording platform enables recording offices throughout Maryland to electronically receive, stamp, record and return documents within minutes, while settlement agents can submit recording fees and other recording-related expenses directly through system. Simplifile is the largest e-recording network in the U.S., with more than 1,900 jurisdictions nationwide e-recording on the platform. In addition to Maryland, nine other states offer statewide e-recording through Simplifile, including Alaska, Arizona, Colorado, Delaware, Hawaii, Iowa, Massachusetts, Nevada and Oregon. For more information about e-recording in Maryland, call 800.460.5657 or visit https://simplifile.com. For a current list of all jurisdictions within the Simplifile e-recording network, visit https://simplifile.com/e-recording/e-recording-counties.